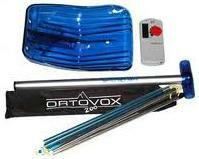 The EIS ski club has a number of items for use by club members, which may be borrowed or hired. The club also also has an equipment room / workshop, which is equipped with a workbench and tools for servicing skis and snowboards (out of action at the moment!). If you would like to rent equipment or use the club room, contact Manu, in the week before the ski trip. Also includes an extra battery, a USB wall charger and a 64Gb MicroSDHC card. If you're going to use this camera, you should install the GoPro App on your phone. The camera will create a Wifi network with SSID EISGOPRO. The password is the same, but in lowercase. HD Camera with a ski goggle mount. Also includes 2 extra batteries, a USB wall charger and a 32Gb MicroSDHC card. Also available: Thule general purpose roof bars - requires car with fitted railings. Equipment is hired out on a per-week basis, with the week running from Wednesday to the following Tuesday. If you hire equipment for two weekends, that counts as two weeks. When you hire equipment, you are responsible for looking after it and ensuring it is returned in good condition. The club has no insurance against theft or damage. If you lose it or break it, you're responsible for providing an identical replacement.